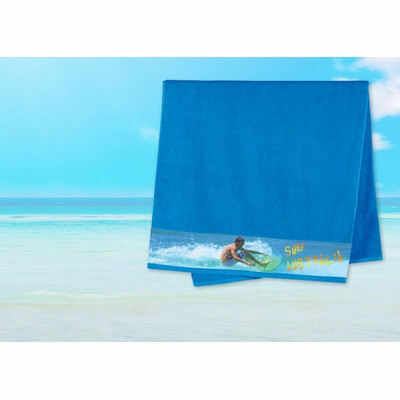 Cotton border on all sides Lower fret area for decorationProduct Materials: 380gsm terry velour towel. Colours: Aqua | Navy | White. Price includes : DECORATED. Setup is included.